If you’ve been searching for a doctor who takes each patient’s concerns seriously, listens intently and crafts custom care plans for all, you’ve come to the right place. As an adolescent, Dr. Scott suffered from migraines and dealt with a neck injury. Never wanting to take pills or seek out surgery, he visited a chiropractor. Since that first visit many years ago, he has yet to have another migraine! Dr. Scott attended Palmer Chiropractic College in Davenport Iowa, where he obtained his DC. Since then, he’s helped thousands of patients just like yourself express their health naturally. One of Dr. Scott’s fondest memories of his time in chiropractic college was when he traveled to Brazil with 30 other students. There, they adjusted hundreds of people every day at a small church. In total, he estimates performing about 800 adjustments every day for the duration of the trip. This experience helped Dr. Scott to see the true value of chiropractic care even deeper. At his practice, Dr. Scott believes that no two patients are alike. He sees each patient as an individual, crafting unique care plans specific to your needs. From newborns to seniors, all are welcome in our family-friendly practice. Dr. Scott will perform a thorough examination and consultation with you to discuss your ultimate goals. From there, he’ll let you know if he believes you’re a candidate for a manual adjustment, the gentle Activator method, massage therapy, Cold Laser Therapy or a variety of techniques. 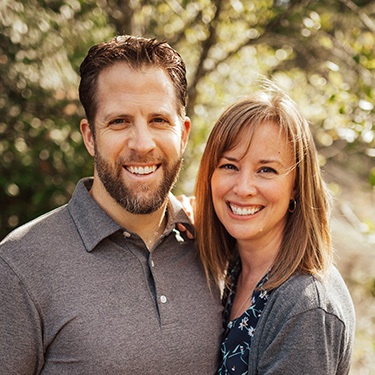 When he isn’t changing lives in the office, Dr. Scott enjoys spending time outdoors with his wife, Rachel, and their family. Together, they love to hike, fish and soak in the beauty of the Hood Canal. Dr. Scott is also a member of his local Chamber of Commerce as well as the Washington State Chiropractic Association. Get to know more about Dr. Scott when you book your first appointment with us.